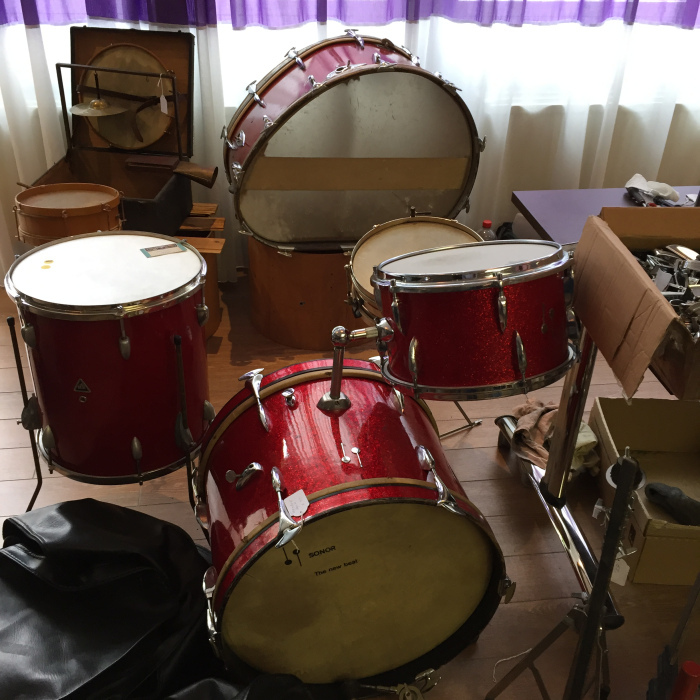 After returning from the Chicago Show, I was off to Bristol airport, headed to the Netherlands for their annual vintage drum meeting. 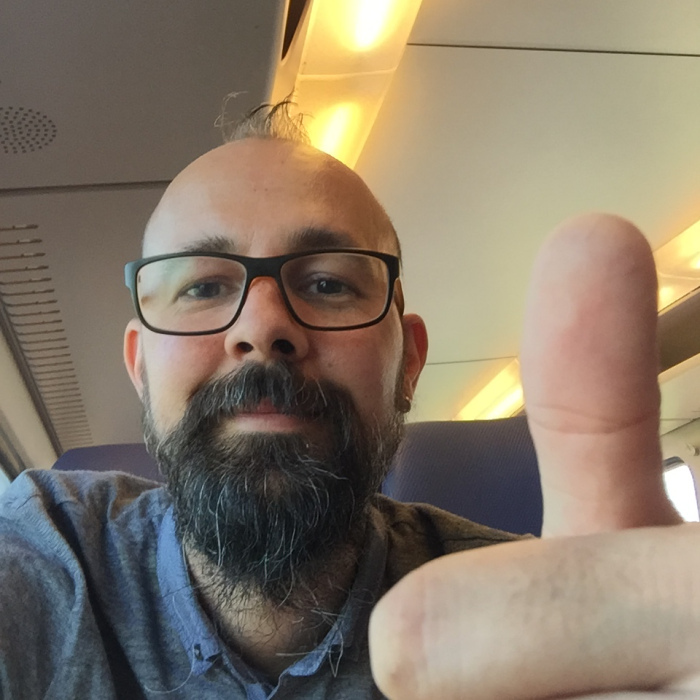 I almost missed my flight due to a tailback on the M5, but thankfully the pilot was 20 minutes behind me so I managed to check my bags and make the departure gate just in time. 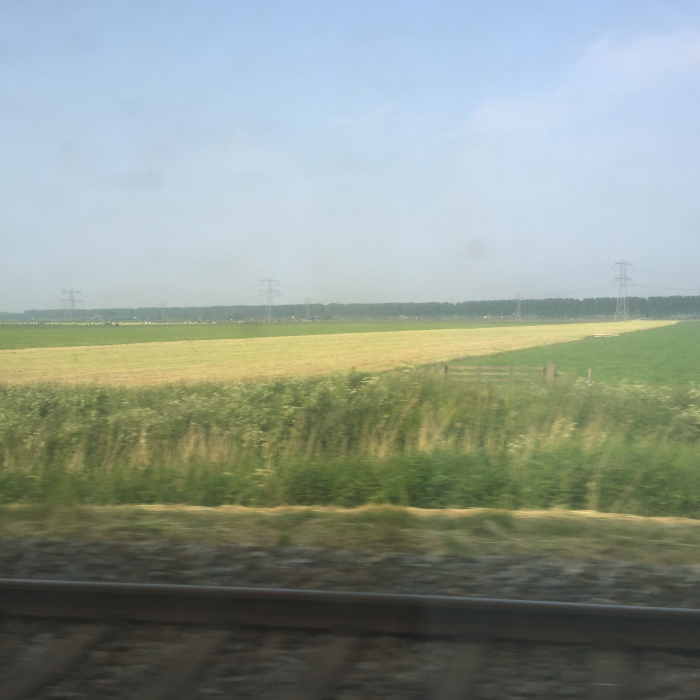 Breathless and overheating, a little worse for the run, but in time! 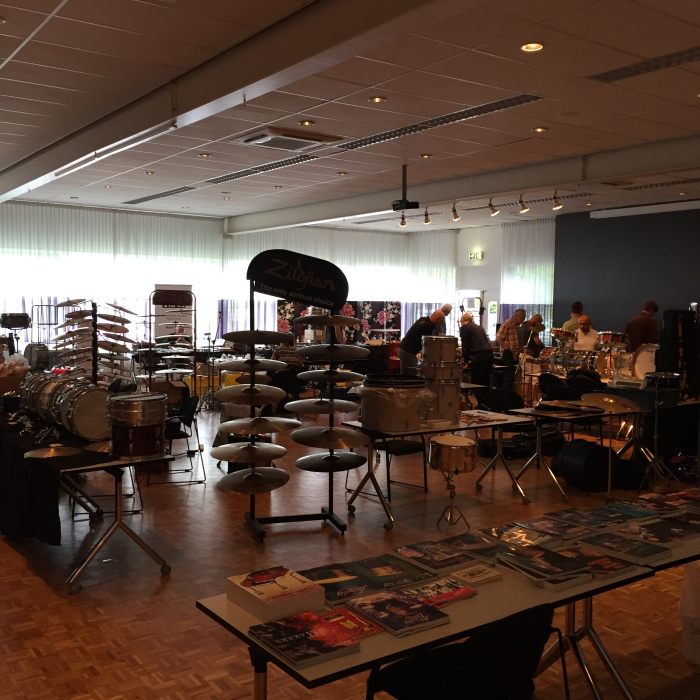 The Dutch Vintage Drum meeting is in its 5th year, held in the small town of Nieuwegein (near Utrecht) about 30 miles from Amsterdam. On arrival it was a simple train/bus to my hotel which took about 40 mins. 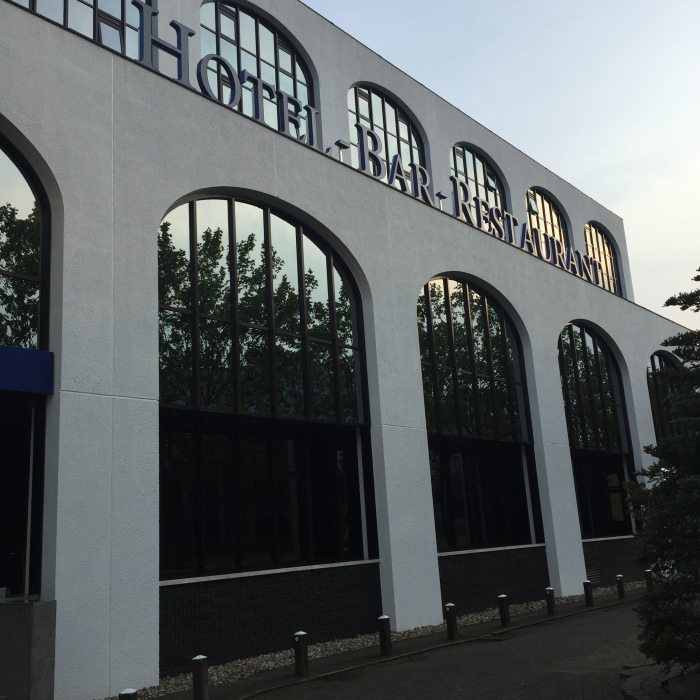 I stayed in Hotel …. Which was really clean and friendly, with a great restaurant and a pool. It was also only 5 mins away from the venue. This show is much smaller than Chicago but really well attended by both exhibitors and punters. 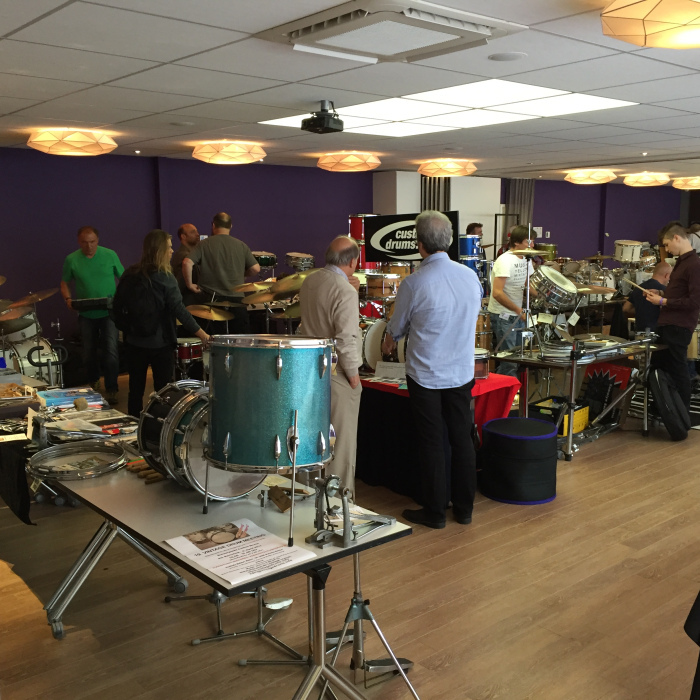 Dealers from Germany, Switzerland and all across the Netherlands were there as well as myself with a great selection of vintage drum goodies. 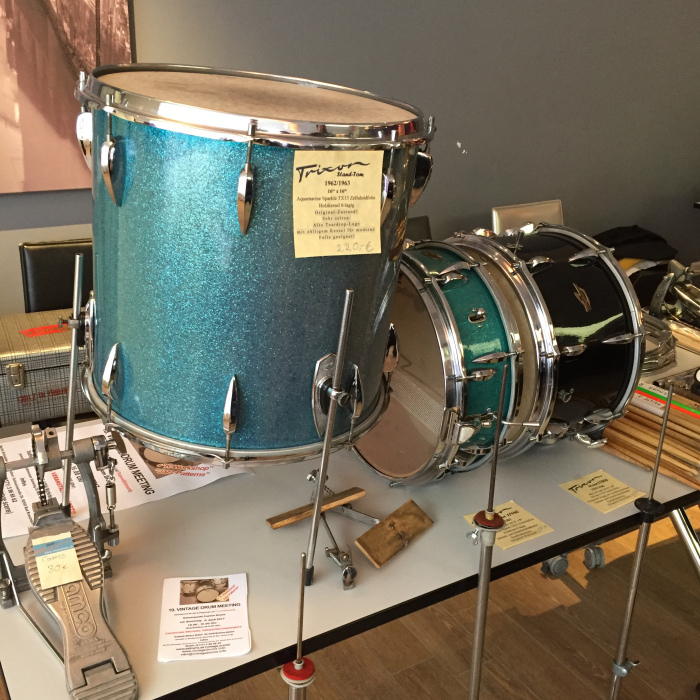 Full kits (Ludwig, Sonor, Gretsch, Rogers, Hayman), snares drums, loads of cymbals (including a great section of vintage K’s courtesy of Martin Grimsell of Germany) and tables full of vintage spares worthy of a really good rummage. 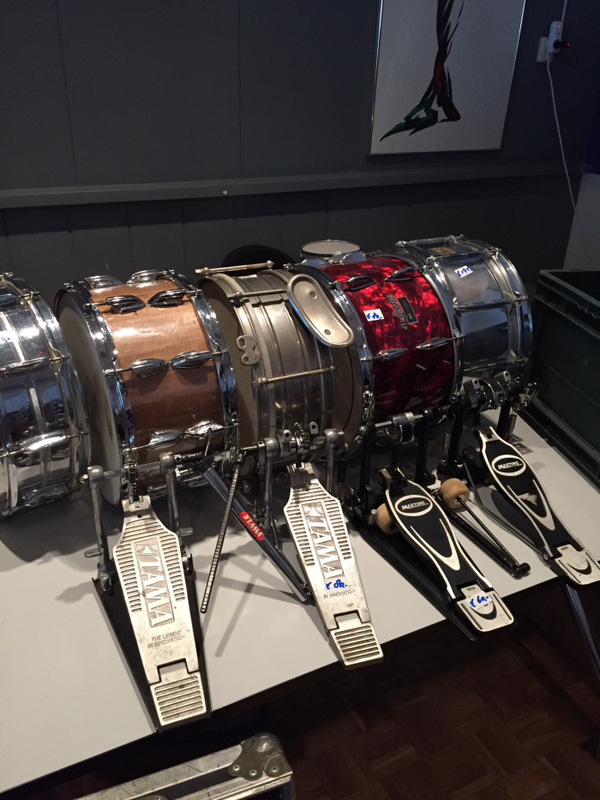 The venue itself is a large centre, consisting two rooms – one vintage, one everything else. 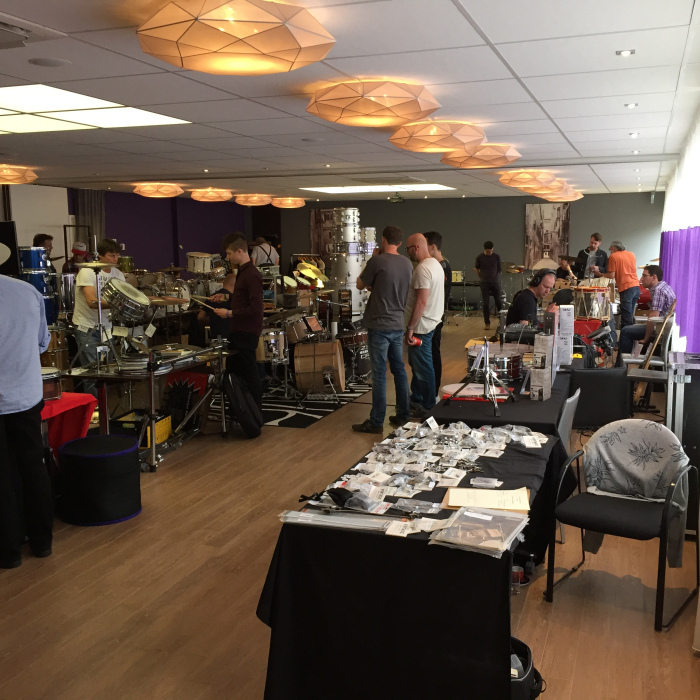 There is a large foyer with a corridor, also full of traders with a variety of goods on offer – everything from discounted sticks and cases to a stunning Rogers kit with matching dynasonic in Black Onyx Pearl. The venue has a bar that serves great food and drinks at good prices. What else do you need? 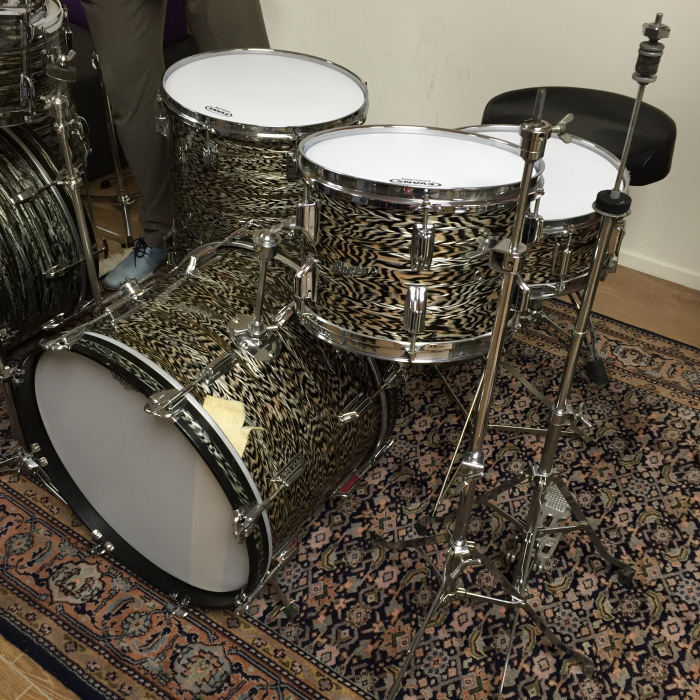 Overall, a great experience for me, again making new friends in the vintage drum community. 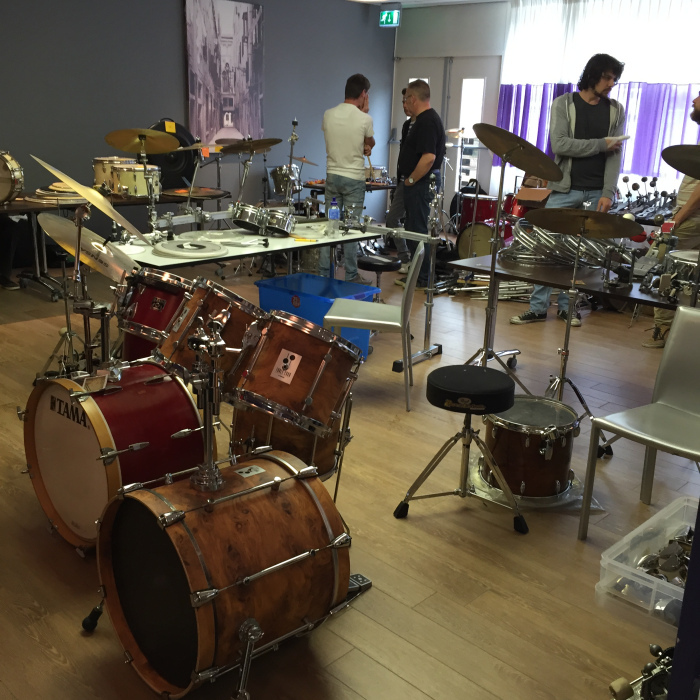 A great, affordable show to attend if you fancy a weekend in Amsterdam and maybe coming home with a new snare drum, a new ride or a case full of spares! 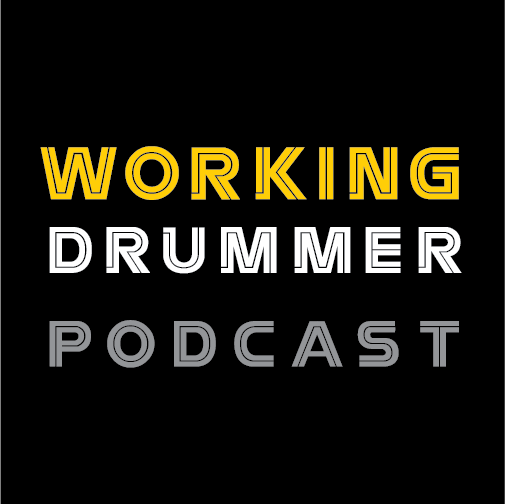 I’ll be doing both shows again next year, if you want more details on the shows with flight/lodging prices then drop me a line.